Feldspars are rock-forming minerals that crystallize from magma (molten rock). It is estimated that up to 60% of the earth’s crust is made up of feldspars. Included in the family of feldspar are Amazonite, Fluorite, Labradorite, Moonstone, Rhyolite, Spectrolite, Sunstone, and Unakite. Feldspar is known for accentuating the ability to creatively solve problems and to increase self-awareness. 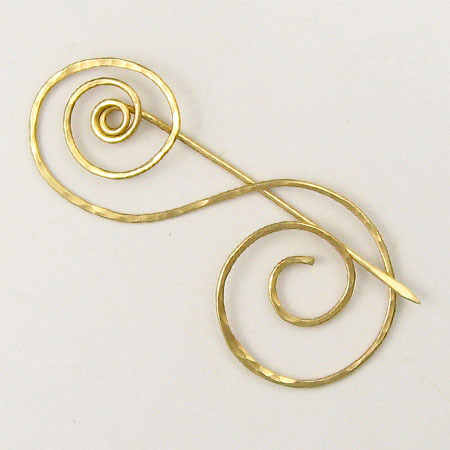 A fibula is a brooch or pin. While fibulae (plural of fibula) come in many different shapes, their design is very much like that of a safety pin. Fibulae originally replaced straight pins and were replaced in the Middle Ages by buttons. A fibula has three parts: body, pin and spring. The body is often elaborately decorated. The head of the body is the end with the spring and the foot is where the pin closes. The pin is the part of the fibula that goes through the fabric. The spring provides tension to the pin. The fibula is closed by connecting the end of the pin to a catch plate or pin rest at the foot of the body. Ancient Egyptians used fluorite in statues and in carving scarabs. Artifacts of carved fluorite were found in the ruins of Pompeii. 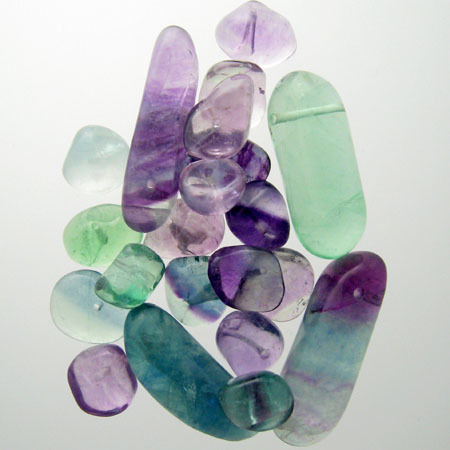 In the 18th century, fluorite was powdered and mixed with water to relieve the symptoms of kidney disease. Fluorite is said to absorb and neutralize negative vibrations. Many use it as a meditation stone to help energize the body and raise the power of concentration. Care: Use warm, soapy water to clean fluorite. Never use steamers or ultra-sonic cleaners.